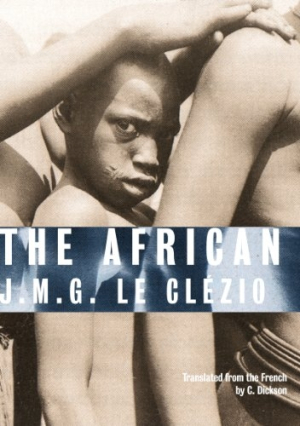 In this brilliant translation of Nobel Laureate J. M. G. Le Clézio’s book The African, the now-­seventy­-three-­year-­old writer goes back to his childhood spent in Nigeria, the son of a French military doctor posted to Africa. Told through the fog of memory, the author’s adult mind reanalyzes his childhood, adding layer upon layer of meaning. The narrative has a poetic, otherworldly feel to it as both father and son struggle to control their own environments. They realize what other Europeans would learn the hard way: that eventually Africa would swallow them. They bend to Africa’s will, and not the other way around. Much later, after two decades, the father understands the futility of colonialism, the winless war against disease, with tools that did not work or were not plentiful enough. Europeans are more helpless than the termites and scorpions that the son taunted and killed in his youth. But for the son, Africa is also freedom from the bombings of his birthplace in France during WWII. Later, after the end of Nazi occupation, the mother is challenged by friends in Paris who ask why she would move her family to the land of savages? “They’re no more savage than the people in Paris,” the mother replies. Yet, Le Clézio can come to this conclusion about his stern father only after a lifetime of experience, looking back through the haze of memory.